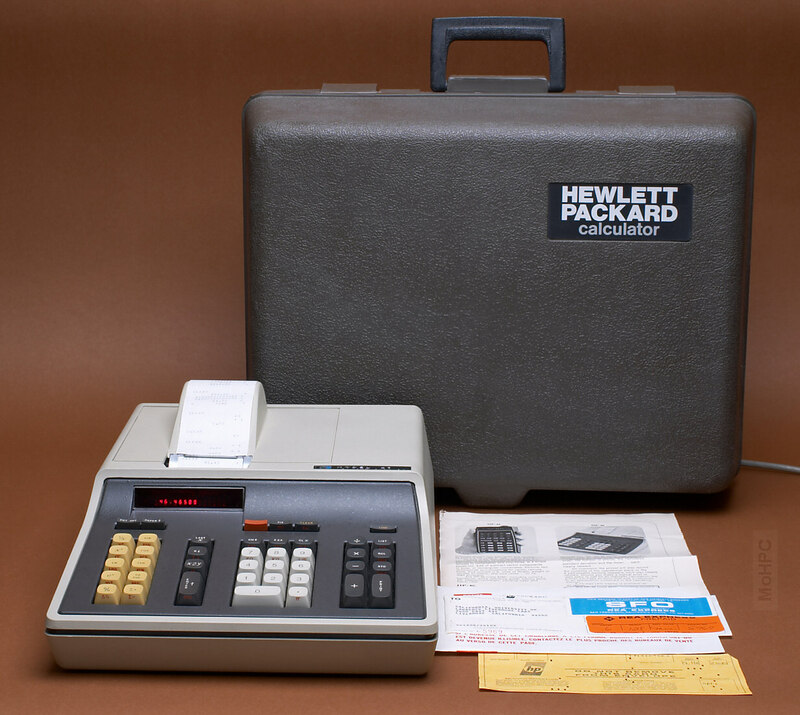 The HP-46 was a printing version of the HP-45. It was built like a real tank with a structural foam case and used a contactless keyboard with keys that looked and felt like those of a selectric typewriter. 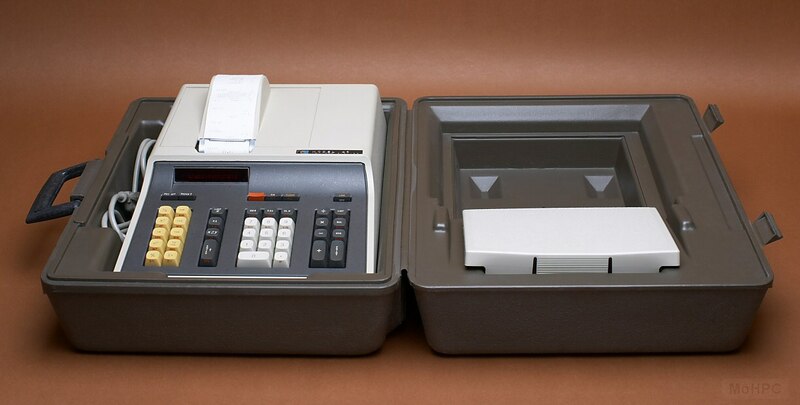 The impact printer used adding machine paper and printed using a red/black ribbon. 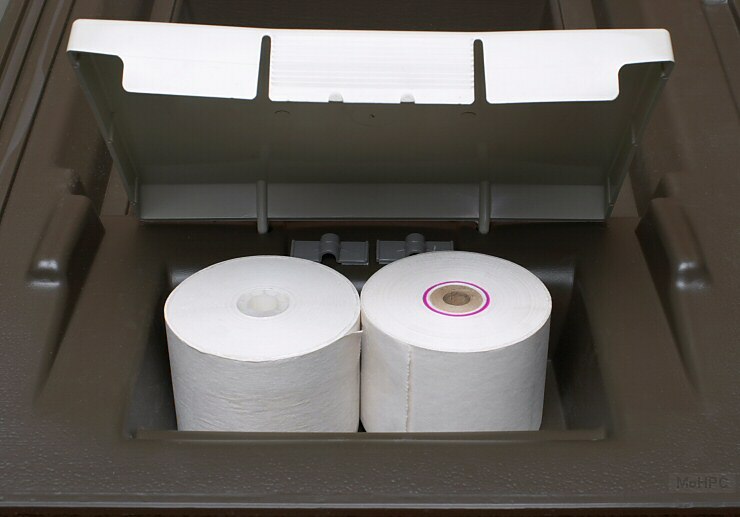 In addition to the built-in printer, an LED display was optional. If you didn't purchase the numeric LED display, you still got a single LED dot that told you that the machine was busy. The manual starts out with "Now that you own an HP-46, take a little time to read this guide and reassure yourself that you've bought the best. Your HP-46 has far more computing power than other small desktop calculators on the Market. In fact its 10 digit accuracy exceeds the precision to which most physical constants in the universe are known." It goes on to say that its 10^100 maximum number allows you to calculate all the atoms in ten trillion universes. 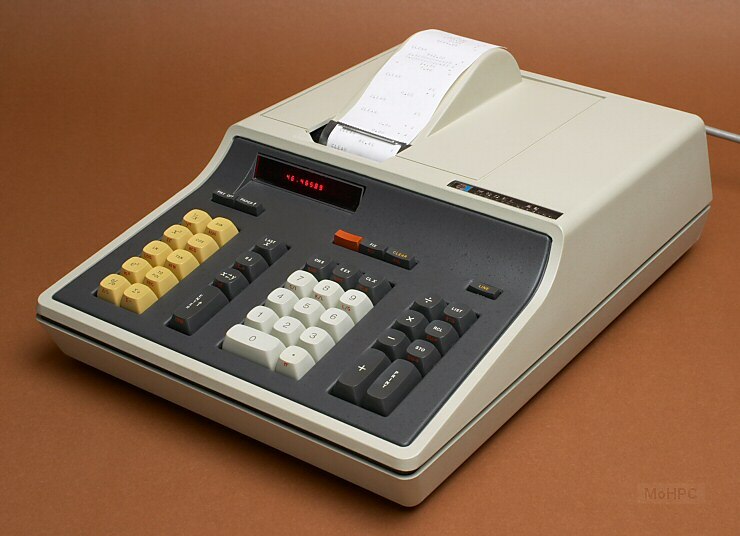 The manual included 5 pages of tests to check the functionality of the calculator. The machine came with an HP instrument certification card stating that it was thoroughly tested and found to meet its published specifications and that HP's calibration measurements are traceable to the U.S. National Bureau of Standards. There were hand written notes in the mech. inspec. and elec. inspec. fields of this card. This was an AC-only device that operated at 100, 120, 220, or 240 volts at a frequency from 48-66 Hz. 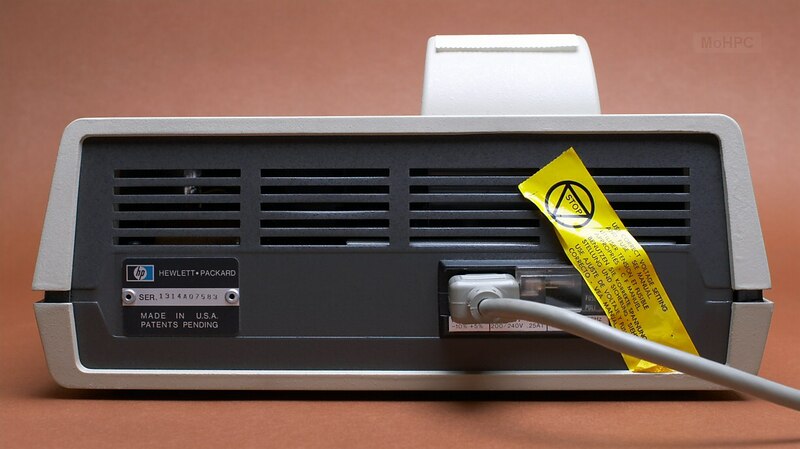 Voltage was selected by a combination of the orientation of a small (about a square inch) PC card and the selection of a fuse at the back of the machine. Price: $695, LED option $100. Base price later increased to $715.